We have been trading in the promotional merchandise industry for a while now, and over time we have become masters at our game! We happen to be well recognized for a large number of capacities, from our extensive large choice of business printing product, our price competitiveness, our timely delivery for just about any orders placed. However out of all these characteristics, we are most excited about the fact, that we are popular for our professional & friendly level of service, to ensure our customers are satisfied with us and they come back to us over and over again! Get your logo or business name printed or engraved on give-away promotional items like Postcards, Magnets, Stubby Holders, Pens, Mugs or Glasses. We certainly do go ahead and take the problem out of this process, and ensure the service you are going to get is not only simple and easy but also of a superior quality standard. Branding is the key here: Promote your company with branded gifts and merchandise from a renown Group. 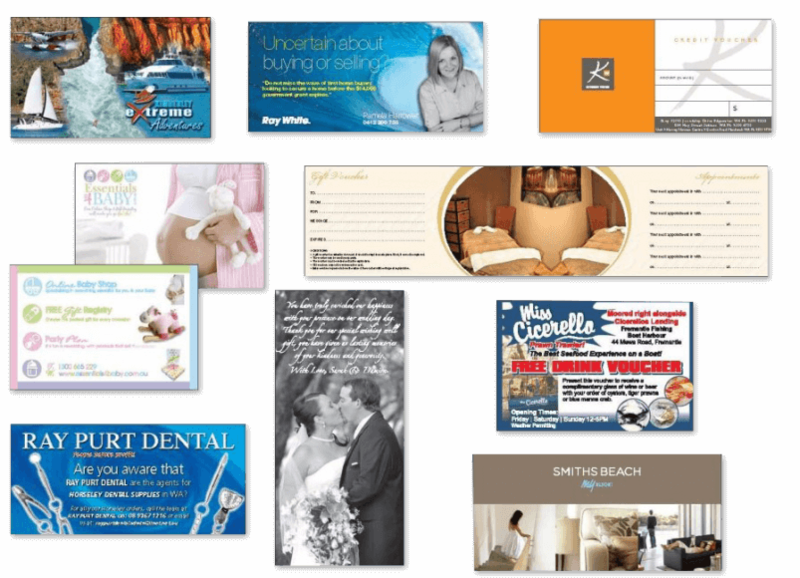 Postcards, storecards, and gift vouchers are required in a modern retail business. Let us help your deals and offers showcase the professional nature of your business. We offer same day service and we can help with the artwork. We have lots of experience in making your cards look just right! 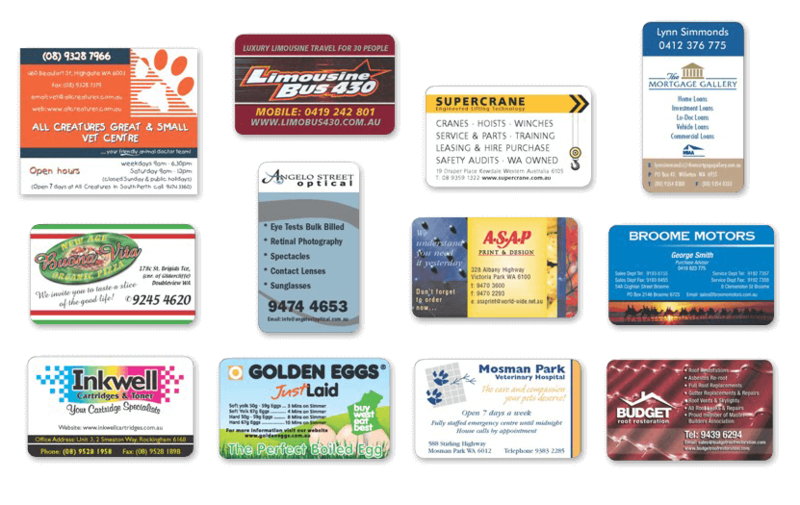 Promotional Fridge magnets can be an undervalued asset for many businesses. Long after brochures and flyers are gone, a good size fridge magnet can keep attracting business for years. Have a look on your own fridge. Are the big fridge magnets that hold plenty of papers on it, the ones that you keep? Understanding this piece of consumer behaviour combined with a well designed fridge magnet for your business, distributed to your target audience, can be your silent salesman for years. A yearly calendar magnet is also a good idea to keep your business in front of your client all year. Whatever your needs are call us and we can help you find the right solution. Fridge magnets are definitely a must have promotional tool. Once your job has been taken care of, we can supply quality personalised corporate gifts and custom printed promotional products. Give your valued customers a gift that stays on their desk and keeps your business visible. There are many gift ideas and we are always happy to look for a product that suits. We can supply the latest must have promotional products to create goodwill with your customers. Get your company name in front of your customers today! Contact Us for a quote and quick chat. You can give us a call or drop us an email today for a free consultation and quote!